Framo Morat has developed a range of planetary gearboxes ideal for applications that need high positioning accuracy, rigidity, smoothness of running, low operating noise and effective torque transmission. They are provided by R.A. Rodriguez. This family of planetary gearboxes consists of five series of planetary gearboxes: GSD flange gear, GSB inline, GSBL angle gear and two high economy lines, GSN, and GFE. GSD, GSB and GSBL gearbox lines are constructed in a space-optimised, two-stage design. All of them have precision ground helical gearing, single-piece planetary carriers and full needle bearings. Due to lower torque values, the input stage of GSD is dimensionally smaller than the output stage, making it ideal for applications where space is limited. Its low standard backlash also makes it the perfect fit for highly dynamic applications where high position and speed accuracy are paramount considerations. The flange outputs of GSD gearboxes produce high torsional rigidity and for the accommodation of particularly high axial loads, models with diameters of 90mm and more can be specified with taper roller bearings. GSB series combines low backlash with high precision. Its robust, one-piece housing allows for high gearbox rigidity and the absorption of high radial and axial loads. These performance advantages can also be found in GSBL angular gearbox line. The right-angle shape of this type also makes it a good choice for dynamic, space-restricted applications. GSN and GFE series provide high performance and economic efficiency. 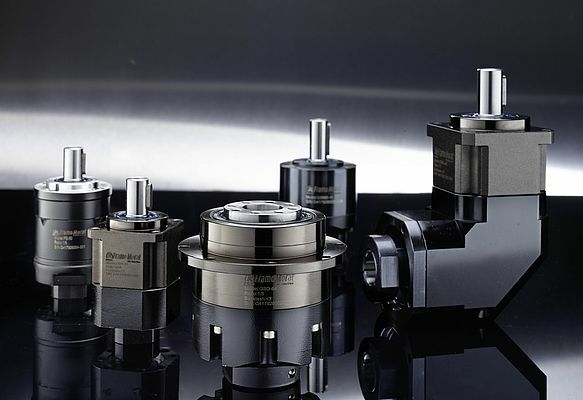 In common with all models in this new range, their helical ground gears ensure minimum noise and smooth running and the specially designed full needle bearings reach high torques that exceed the capacity of competitor products of the same size.